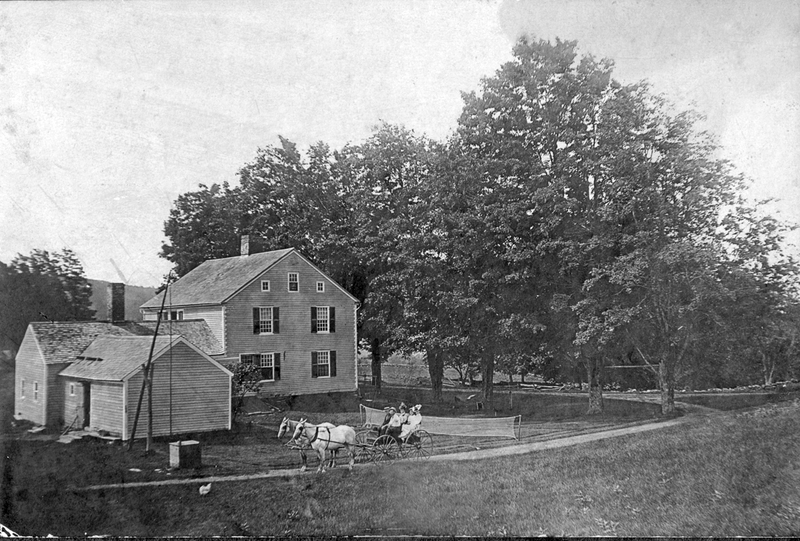 I the fall of 2008 I received a call from Alan Bjork, curator of the Rowe Historical Society, about 2 photo albums he had received with photographs of Forth Pelham Farm. Someone had taken them when Olive Wright died in a nursing home in Portsmouth, New Hampshire. Olive had no heirs of any kind so one can only imagine her belongings upon her death were headed for a dumpster somewhere. The note above was in one of the pages of one of the albums and someone was kind enough to grant her wish that these albums return to Rowe. Alan let me borrow the albums for a couple of days during which time I scanned all of the photographs and information in both albums. It was so obvious how much Olive loved the property in Rowe. There are numerous photographs that she took the time to write information on. There are brochures from when it was a B&B of sorts. 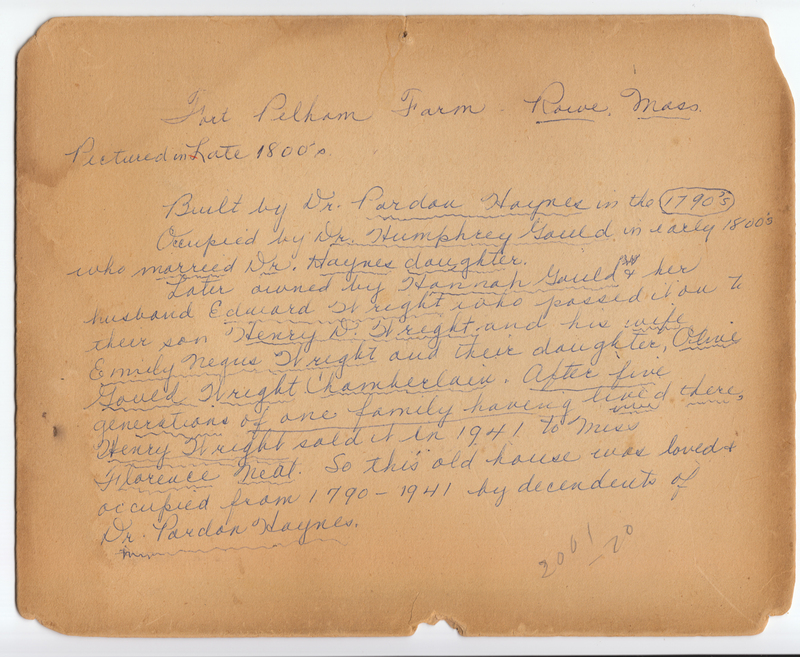 There are notes and poems sent from lodgers, a newspaper clipping of the listing of the property with the date. The images above are the front and back of an 8 X 10 photograph mounted on fiberboard the was in the beginning of one of the albums. 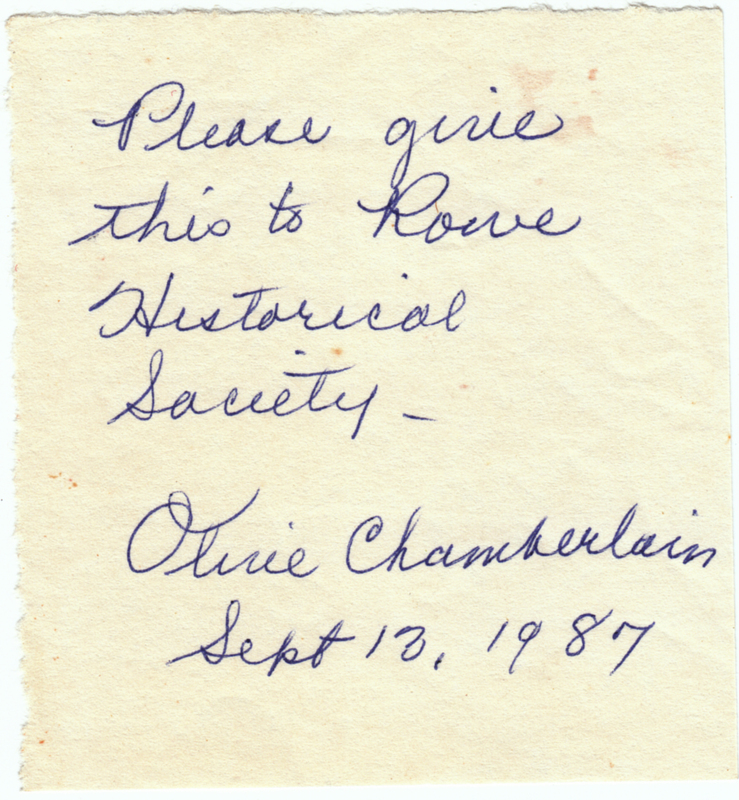 Olive inscribed the back of the photo with the history of the property. She took such pride in the history. Today the maple trees in the front of the house are no longer there. There were four of them when we moved there in 1967, the last one came down in a summer storm in 1999. The well is now surrounded by stone instead of wood. Other than that everything looks much the same, at least from this angle. I’d like to think that Olive would be pleased with what has happened to Fort Pelham Farm in the past few decades. I think she might be most pleased having a distant family member in the house. That is so very wonderful! To have a place with so much history and to know it.